Looking for flexible fitness studio insurance? You’ve come to the right place! Why do I need fitness studio insurance? Fitness studios work hard to meet the goals of a thriving business while helping clients meet their personal health goals. Unfortunately, even the most successful studios are not exempt from substantial insurance claims for client injuries or other unforeseeable accidents. Exercise your right to ensure your facility is protected by insurance experts who are ready to do the heavy lifting. American Specialty Express makes purchasing insurance quick, painless, and simple, providing coverage for the early risers, the late-evening lifters, and everyone in between. The following information is offered as a snapshot of the coverages provided through the American Specialty Express fitness studio insurance program. For a complete description of coverages and exclusions, the policies should be read and reviewed in detail. The precise coverage afforded is subject to the terms and conditions of the policies as issued. Our fitness studio insurance program offers the ability to customize coverage to the specific needs of each individual business. Studios made up of primarily instructor-led sessions are a perfect fit for this type of coverage. Liability protection includes coverage for injuries to patrons, and independent instructors can be added as insureds. Additional coverage options are available for higher limits of insurance, hired and non-owned automobile, and abuse & molestation coverage, and inland marine to protect the business’ contents and equipment. What kinds of classes would an eligible studio offer? 1. A new participant arrives at a Saturday sunrise yoga class. After completing the required registration forms, she joins the group of regular attendees. The class seemingly goes very well, and all participants claim to leave feeling refreshed and ready to take on the day. Two months later, however, the new participant files a claim for a pulled hamstring which she claims was the result of an inadequate warm-up prior to yoga. The claim totals $60,000, including bills for physical therapy as well as lost wages from an inability to attend work. The fitness studio owner is shocked by the demand, but not surprised by American Specialty’s readiness to handle the claim. 2. The family fitness studio grand opening was full of great snacks, colorful face painting, and eager customers purchasing new memberships. After the event, however, it is discovered that a significant portion of studio equipment has been vandalized. It will cost an estimated $10,000 to replace the damaged yoga mats, free weights, stretching bands, and exercise balls. The owners are disappointed by the occurrence and file a police report. Thankfully, they purchased the optional contents and equipment coverage* for their fitness studio insurance from American Specialty Express. They quickly forward the claim to the experts at American Specialty and begin exploring replacement equipment. *This example is eligible for coverage based on the added Inland Marine coverage to protect the business’ contents and equipment. Such an example would not be covered if the studio had not purchased this optional coverage. Have questions that need additional clarification? Please do not hesitate to contact us! Call us, chat with us online, or send us an email. Technology is great, but our fitness studio insurance program is provided by real people with real advice and a real desire to help. Contact us today! American Specialty Express delivers the ability to instantly quote and buy affordable insurance coverage from a team of industry experts. Additionally, Express offers the luxury of returning to your account anytime you want. Coverage can be in effect the day after purchase and provides all the needed documents online. Once coverage is bound, eligible additional insureds can be added for no additional cost! The necessary steps to add an additional insured, review coverage parameters, or report a claim can be completed in just minutes. Need a copy of the policy? Get online anytime to print a copy of the insurance policy or access a certificate of insurance. No one plans for problems during a day at the fitness studio, but if disaster strikes we provide an easy, hassle-free process to report and manage the claims. So what's next? 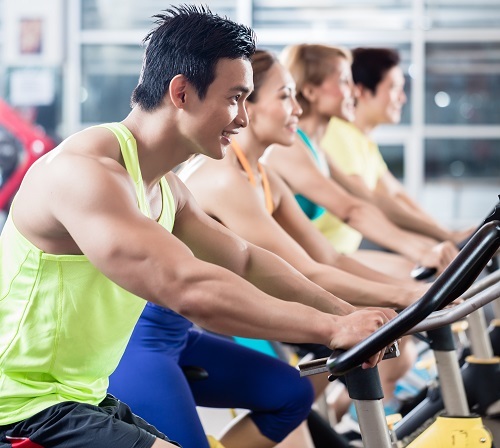 Time to purchase your Fitness Studio Insurance!